A week and a half ago we were sent this Probiotic from Fera Pet Organics to test out. So far we have been in love with the product. I’m very picky about what sort of supplements I give my girls and this is something I will always include in my girls food. With as many benefits as this probiotic offers, how could you even think about not adding it to your fur babies food? 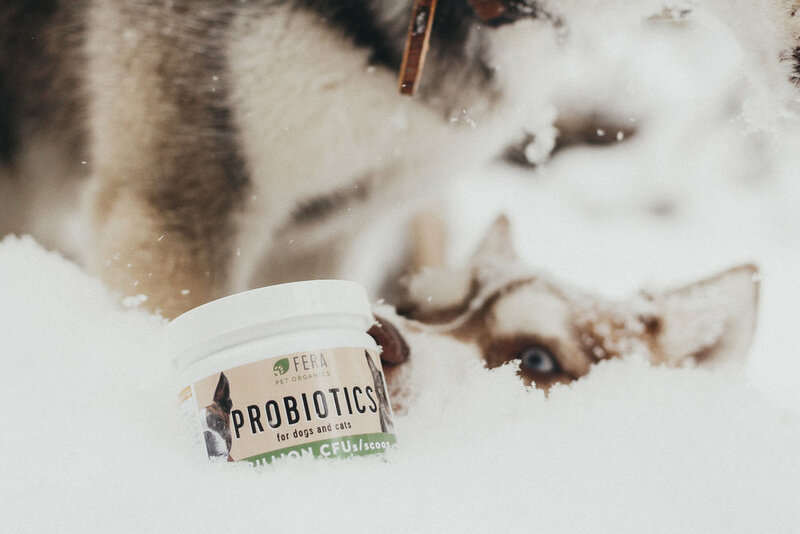 Probiotics are beneficial microorganisms that help control and balance a digestive system, which will enhance the overall health of your doggo! There are 5 billion CFU’s per scoop and 11 living strains of good bacteria. It’s flavorless and easily mixes right into the girls food. - improves gastrointestinal function and health including reducing diarrhea, flatulence, bad breath, and constipation. - improves immune function and health. - minimizes acute or chronic diarrhea due to inflammatory bowl disease, parasitic infection, bacterial overgrowth, and / or GI Lymphoma. - replenishes good bacteria, especially if currently taking, or just finished taking antibiotics. - reduces incidence and severity of scratching, itching, hotspots due to allergies. 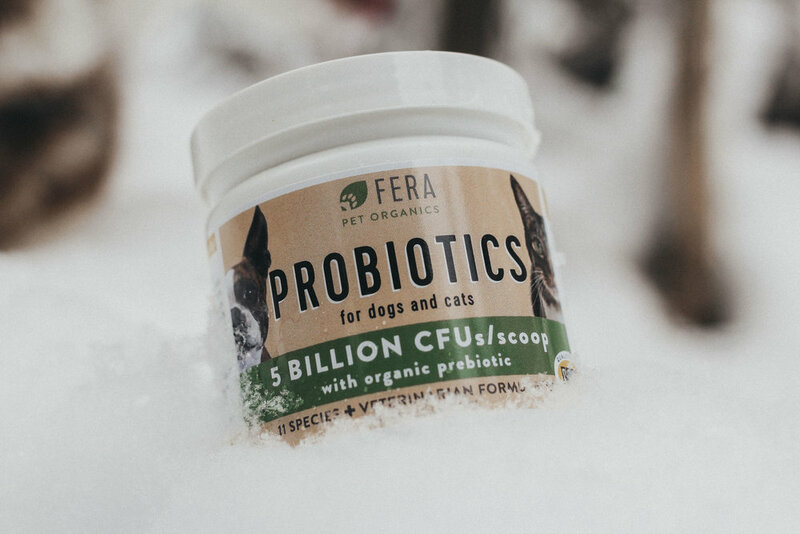 Get your Fera Pet Organics veterinarian formulated Probiotics today!